Here is a full list of all the best tours in Israel which depart from all Tel-Aviv hotels. One group - One tour guide - One of the best experiences! A wonderful experience with our leading tour guides! Exclusive private tour packages one click away. Travel in Israel with your own private tour guide! Join to our one - day tours. Guaranteed Departure! A wonderful tours from Haifa and Ashdod ports. 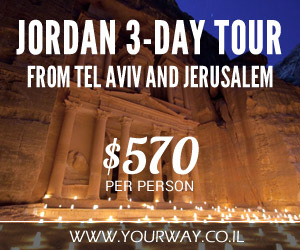 Tour to Petra from Tel Aviv in one day. 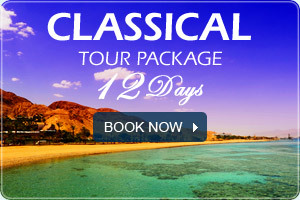 Discover with our tour to Petra & Wadi Rum from Tel Aviv. A wonderful 2 - day tour to Petra from Tel Aviv.